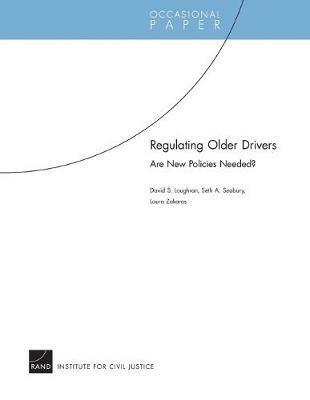 Regulating Older Drivers : Are New Policies Needed? Are older drivers posing increasing risk to the public? If so, what public policies might mitigate that risk? Older drivers (those 65 and older) are slightly likelier than drivers aged 25 to 64 to cause an accident, but drivers aged 15 to 24 are nearly three times likelier than older drivers to do so. The authors of this paper conclude that stricter licensing policies targeting older drivers would likely not improve traffic safety substantially. This paper summarizes the findings and policy implications of a study estimating the relative riskiness of older drivers, concluding that stricter licensing policies targeting that group would likely not improve traffic safety substantially.